How to Find a Wedding Photographer: The Secret! It’s that time of the year again – engagement season. So many couples get engaged in December and January. I’m sure your own Facebook and Instagram feed have been blowing up with photos of newly engaged friends and family members. After the ring goes on the finger and the ring-selfies are taken, people start looking into how to find a wedding photographer. You see, wedding photographers often book 6, 12 or even 18 months in advance. Aside from reception venue and church, we’re the second or third vendor to get booked. While trying to find a great wedding photographer may seem daunting, there’s something really important you need to know when it comes to what do to and how to find a wedding photographer. I get it, you’re likely looking for a deal. Everyone factors budget into the equation at some point (although with different priorities) but if you’re very budget conscious and want to get the “best deal” I strongly urge you to avoid emailing every wedding photographer you can find. Most wedding photographer’s have their prices on their website. You can look that information up yourself and actually save yourself a lot of time! When you start sending our mass emails asking for prices when the majority of photographers have their prices directly on their websites, it shows that you’ve spent very little time actually looking into each photographer. A photographer chooses to work with you as much as you choose to work with them; if a photographer’s first impression of you is that the only thing you’re concerned about is price and not also the quality of the work that the artist pours their heart and soul into, they may not feel the connection with you that they feel is necessary to accept a commission. You may end up not getting referrals after all! The photographer who posts in the referral group may see that since so many others got the email too, it’s not worth their time to compile a list of referrals for you and simply politely reply to you with a “Sorry, we’re not available” and not include referrals. The sad thing is your dream photographer may have been in that referral list! If you want to get 30+ different prices in a small window of time, go to a wedding show. Walk up and down each aisle and ask each photographer what their prices are. That’s one of the main advantages of going to a wedding show. There’s nothing wrong with being on a budget – but there is a certain etiquette that is slowly disappearing as the years go by when it comes to the initial contact with wedding vendors. Remember; your photographer is a business person but they are also an artist. They put their everything into what they do. 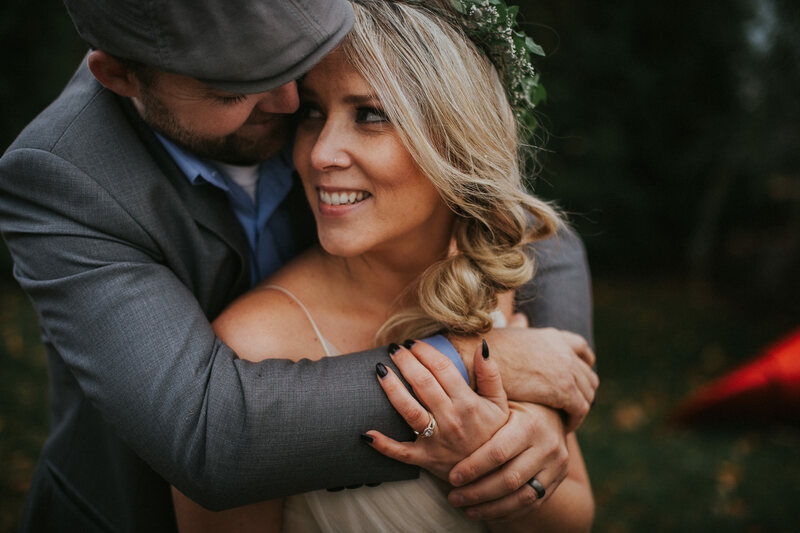 For most of the photographers who genuinely love their job, they need to feel a connection with their clients before accepting a booking and treating your photographer like a speed dating experience isn’t necessarily the best way to find that bond. Pre-research. Do a little research about the styles and approaches of photography that are out there to learn what you may like. Do you like documentary wedding photographer? (That’s candid/photojournalistic approach) or do you like more of a formal and structured look? Do you want a photographer that shoots film? Do you want a light and airy look to your photos or do you want rich colour and depth to the images. Just start looking at wedding images, even if they aren’t from photographers in your city. Learn a little bit about the craft to learn about your preferred style. Start your research by using Google but also ask your friends, colleagues and family members who they recommend. Keep a bookmarks folder of all the photographers whose work you like and whose services fall approximately within your budget. Once you have it narrowed down to about half a dozen or so, sit down with your partner and show them too. As a couple, pick 3 or 4 photographers to contact. This is where you’ll learn about prices (if they weren’t on the photographer’s website) and when you’ll be given an opportunity to set up a consult. It’s also when you may get a list of referrals back from one of the photographers you contacted if they are already booked or otherwise unavailable. Book your consults for a timeframe during which you’d be comfortable making a decision. Booking consults and not making a decision for several weeks after the consult puts you at risk of falling in love with a photographer and their work and then no longer having the date be available once you’re ready to make a decision. There’s nothing wrong with being on a budget; everyone has a budget whether it’s a large budget or a more modest budget. But please remember that mass emails can potentially jeopardize the relationship with your perfect photographer and that if you’re looking to get several dozen quotes in a small period of time, then a wedding show may be the ideal place for you to begin your research.